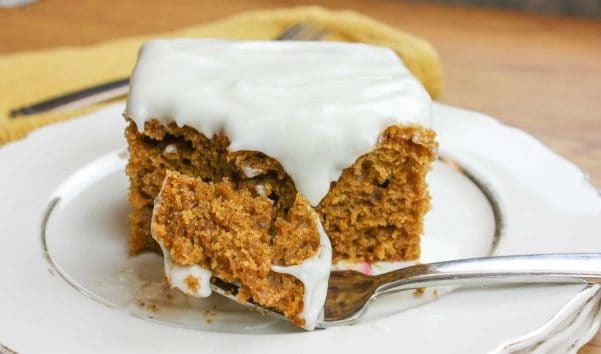 Easy pumpkin bars with cream cheese frosting is a wonderful fall dessert. 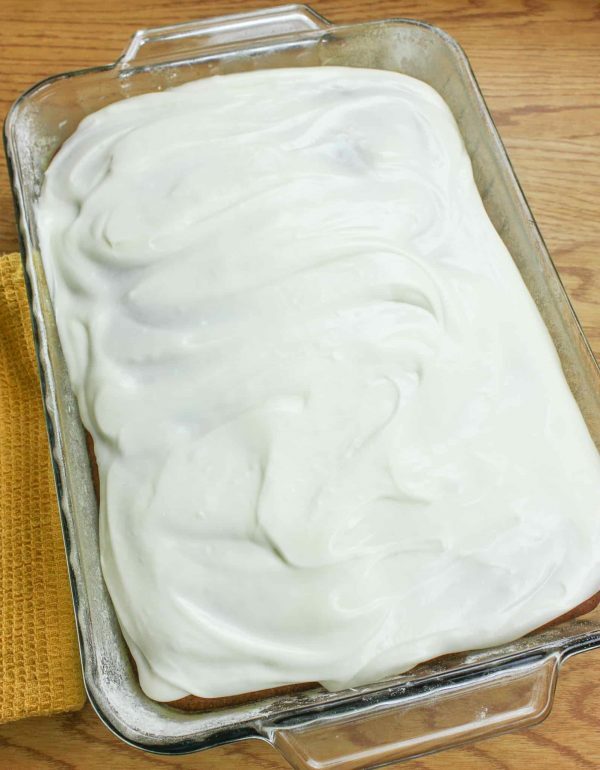 This is a quick and moist cake bar recipe that everyone will love during the winter holidays. The smells of cinnamon, nutmeg, ginger, and cloves will fill your kitchen with the warmth of the season. I absolutely love the fall and all that comes with it. Most of my growing up years were in Denver and I lived for the beginning of fall. The leaves changing, the cool weather settling in, and the wonderful smells of pumpkin, cinnamon, nutmeg, and clove spices filled the air. All of the stores start carrying pumpkin spice everything and the world just seems to be at peace. At least in my little pumpkin fall world. 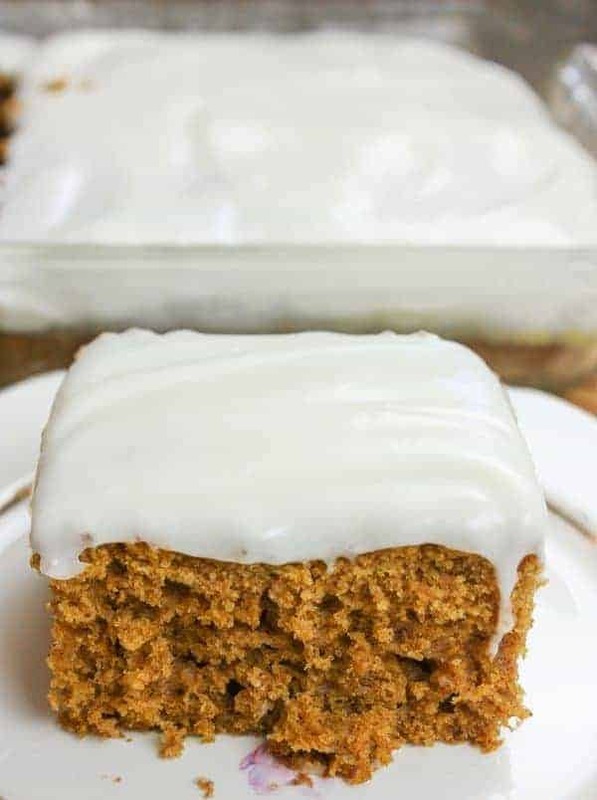 This easy pumpkin bars with cream cheese frosting recipe is the perfect treat to get in the mood for the holidays, or really for any time of the year. It’s just like cake and I know y’all are going to love it. It’s a great pumpkin bar recipe with canned pumpkin that is perfect for parties and potlucks (or to just keep at home and eat). 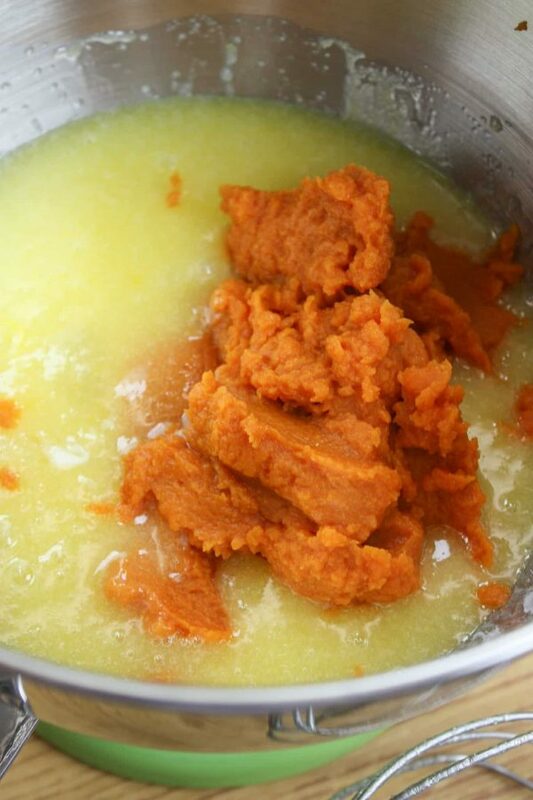 Add the eggs, oil, sugar, canned pumpkin, flour, baking soda, baking powder, salt and spices to a large bowl and mix well. 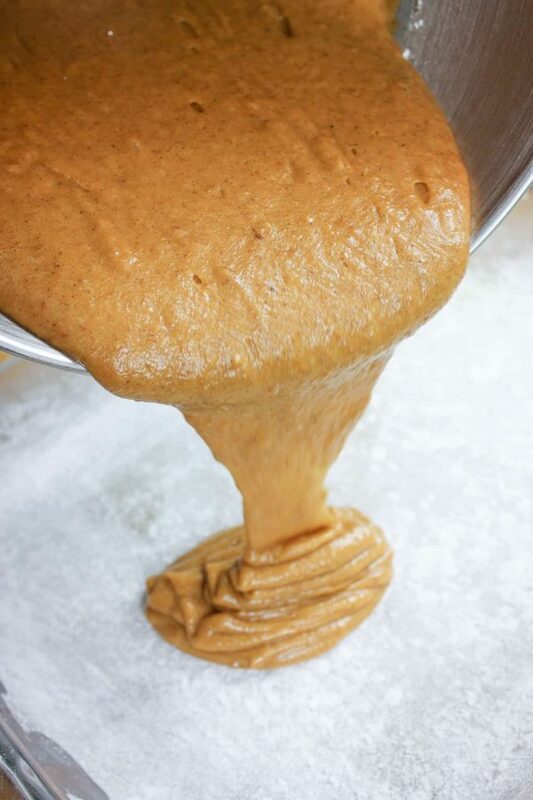 Pour into a greased and floured 9″ x 13″ baking dish. Bake, cool, and top with frosting. 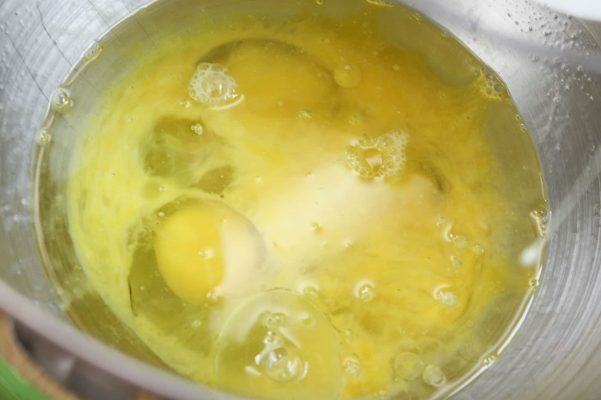 You know the bars will be moist with the addition of oil and egg. Good stuff. Add the pumpkin and mix it all up. Things just got good. Wouldn’t y’all say? If I just smell pumpkin and spice, I get super excited. Don’t y’all love the simple things? 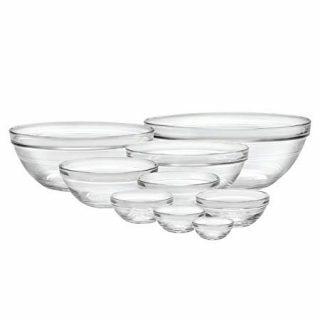 They just make life worth living and they bring back memories of our childhood helping in the kitchen. 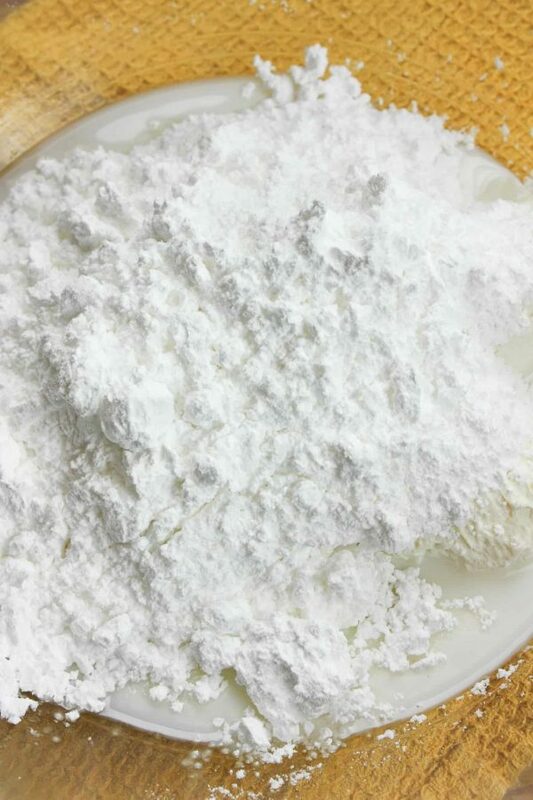 Add the salt, baking powder, baking soda, and cinnamon, and mix it all together. I love the colors of fall, too. Browns and pumpkin orange. Makes me want to go get a sweater. But alas, down here in Florida it will be four more months before it gets chilly. Add the nutmeg, cloves, and ginger. I really am in love with these spices. Whoever came up with this combination really should be rewarded. 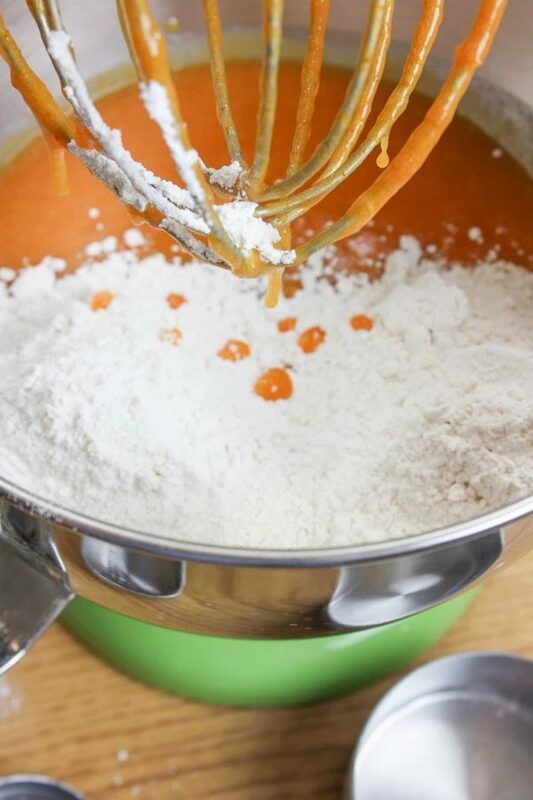 Pour the pumpkin bars mix into a greased and floured casserole dish. You can either use a casserole dish or a jelly roll pan for this mix. Bake for 35 to 40 minutes or until the cake tester comes out clean. If you don’t have a cake tester, just use a knife. If it comes out clean, you’re in great shape! Your kitchen should smell pretty amazing by now. Better than any candle could ever do. Set the bars aside to cool. Ain’t it pretty? 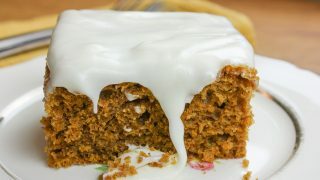 This easy pumpkin bars and cream cheese frosting recipe can feed quite a few people for dessert. Y’all are gonna love this frosting. 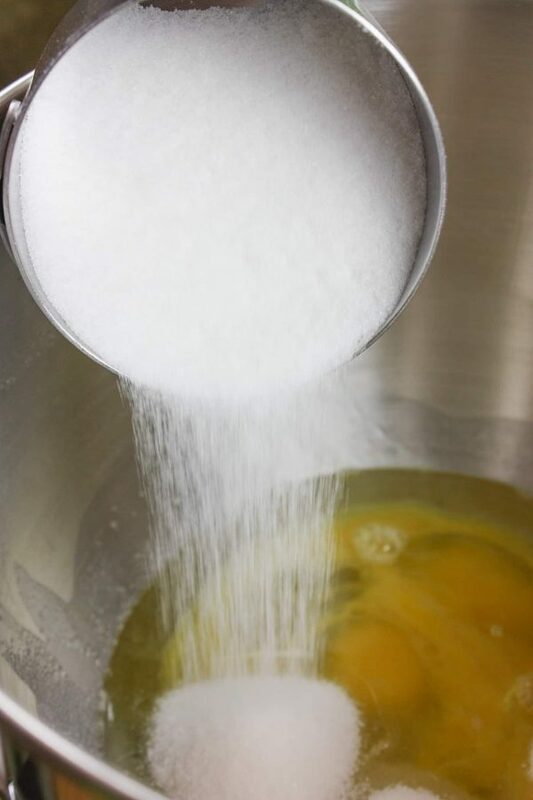 It’s super easy and works great on a lot of cakes. 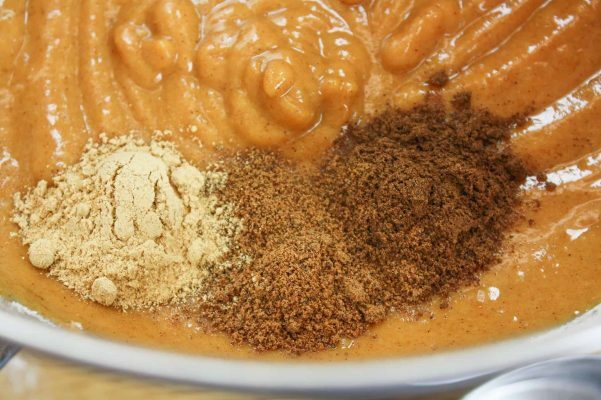 You can even add a little bit of cinnamon for added zing. 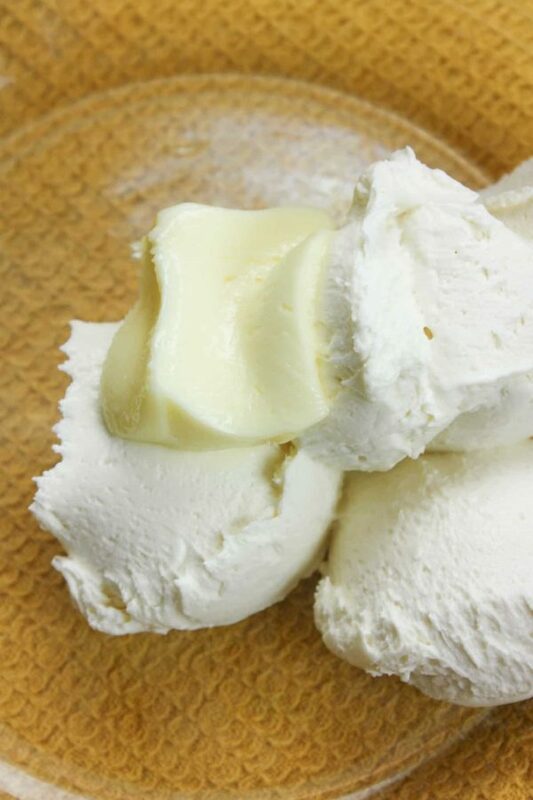 Add the cream cheese to a bowl. 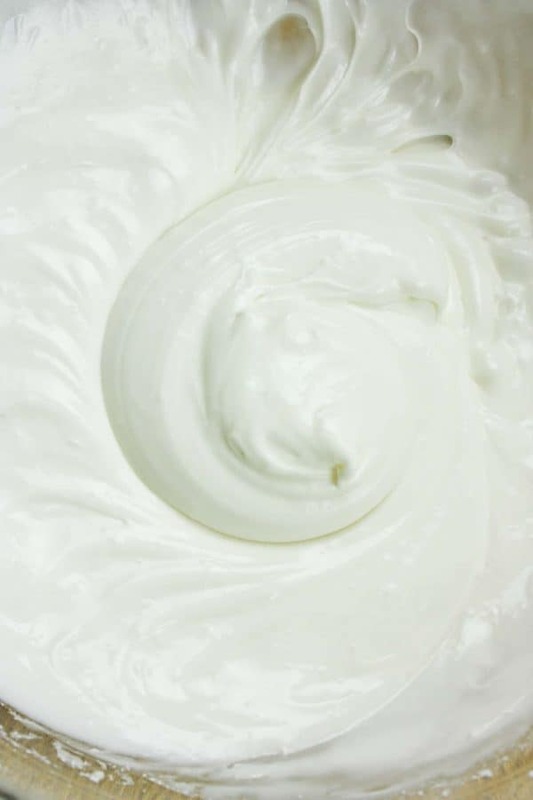 Butter really adds a rich and creamy flavor to this frosting. 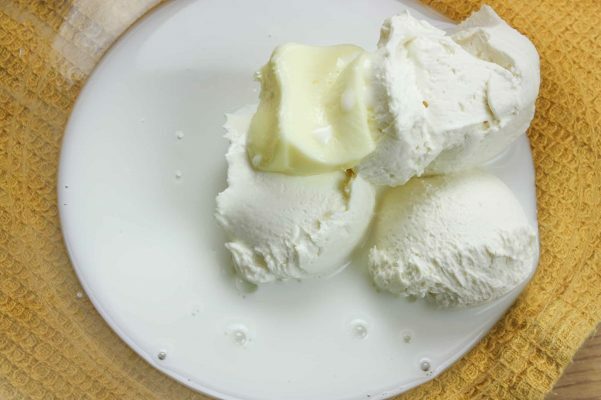 You really can’t ever go wrong with butter. I used 2% milk, but you can use skim if you’d like to save a few calories or add half and half to make it even richer. If you decide to use skim, it will still taste incredibly rich. I always feel like I don’t have enough liquid and that the powdered sugar will clump up. 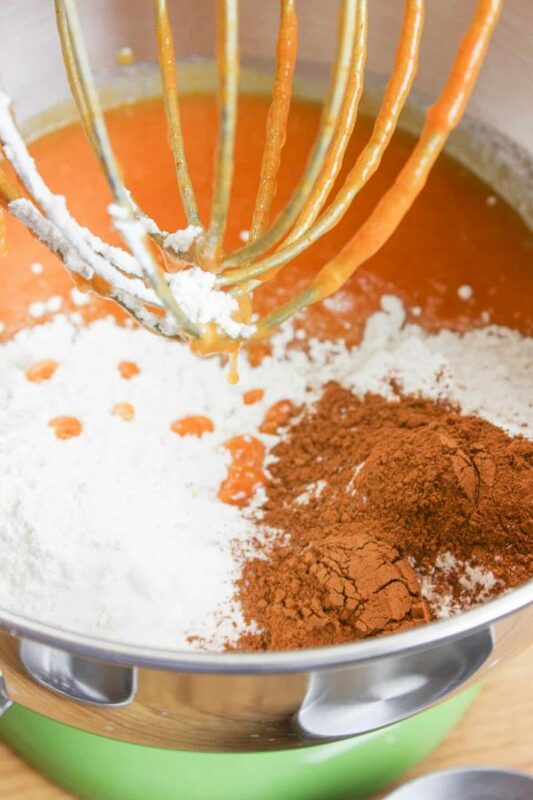 Mix it all up before you add anything to it because you’ll be surprised at how well it creams. 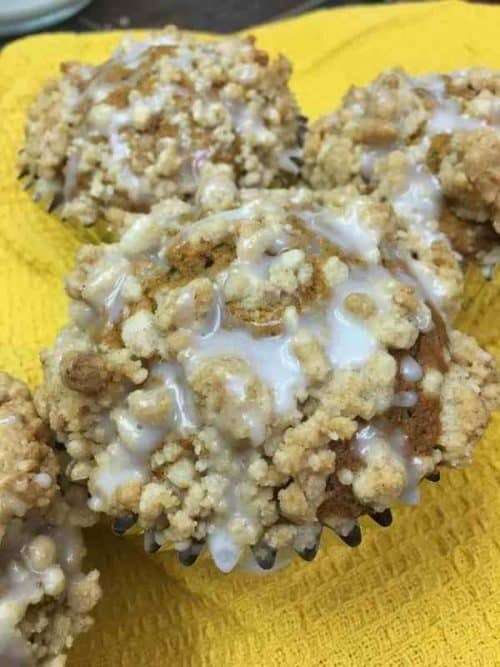 If you need to, you can add a small amount of milk, but only add a tiny bit at a time or you might end up with runny frosting. But… in that case, you can add more powdered sugar. Does it almost feel like that time you cut your bangs crooked and then you had to cut it again, and again… You know how it ends. But in this case, it ends well. Frosting always ends well, right? 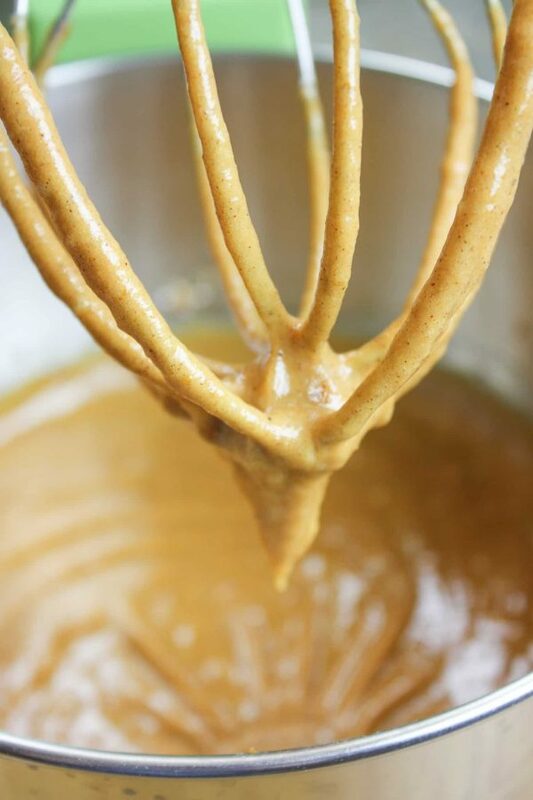 So now your kitchen smells amazing and you just have to decide if you want to take the pumpkin spice bars with cream cheese frosting to a party or keep them home all to yourself. We have to make tough decisions in life. 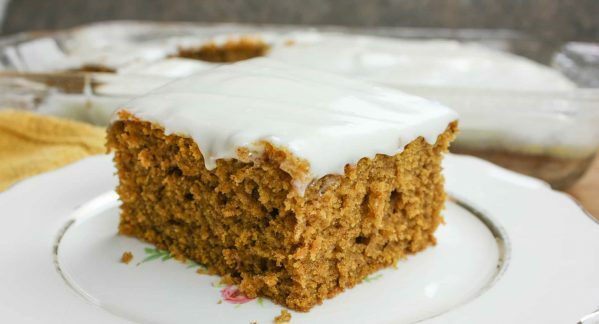 Easy pumpkin bars with cream cheese frosting is a wonderful fall dessert. 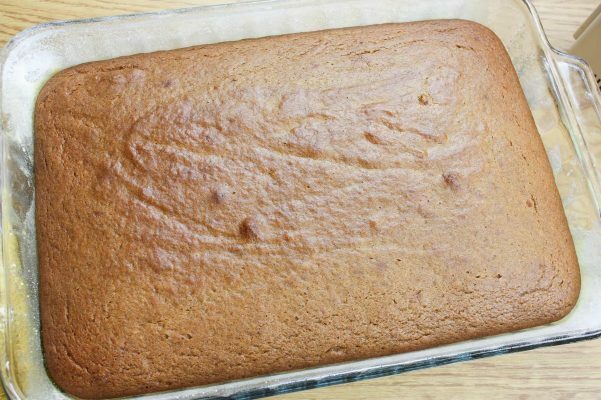 This is a quick and moist cake recipe that everyone will love during the winter holidays. The smells of cinnamon, nutmeg, ginger, and cloves will fill your kitchen with the warmth of the season. Preheat oven to 350-degrees and grease and flour a 9" x 13" casserole dish. 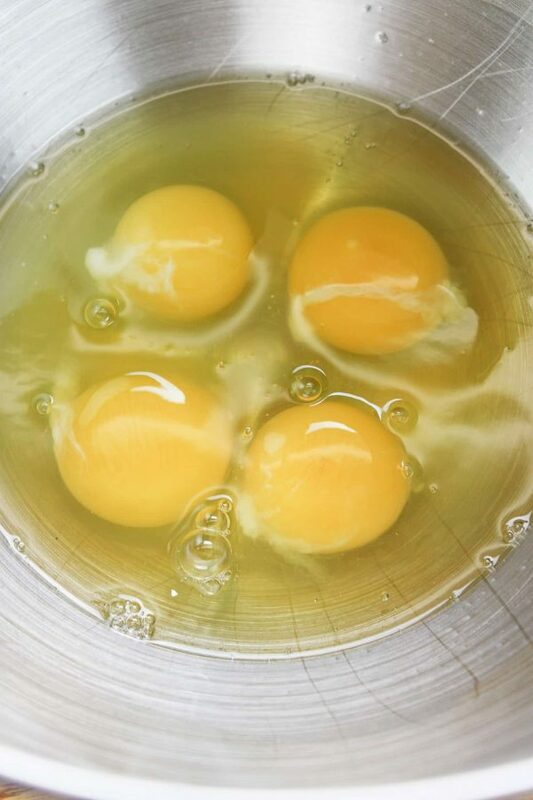 Mix the eggs and oil together in a large bowl. 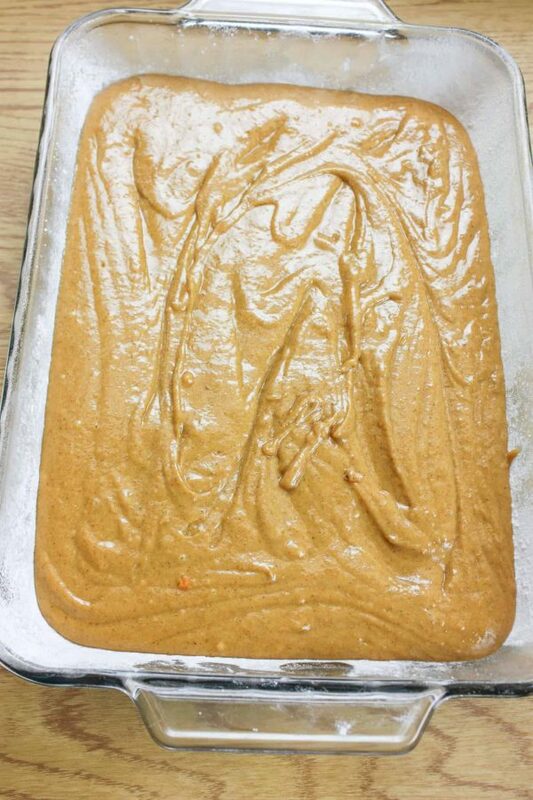 Add the sugar, pumpkin, flour, baking soda, baking powder, salt, cinnamon and spices and mix well. 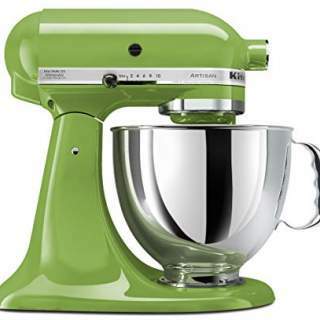 Bake for 35-40 minutes until a cake tester comes out clean. 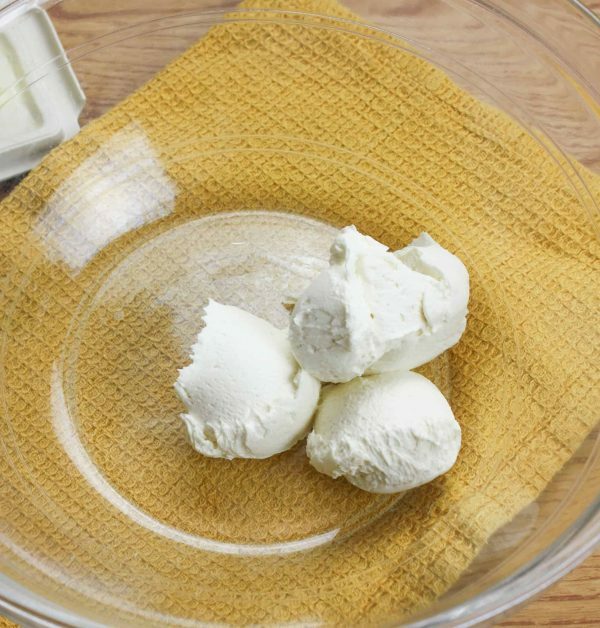 Add the cream cheese, butter, and milk to a medium-sized bowl. Add the powdered sugar and mix until creamy. Nutrition includes cake and frosting.